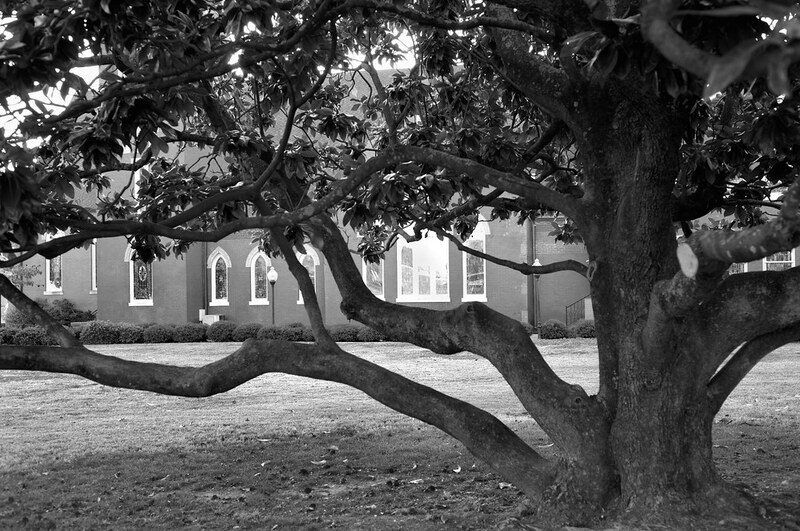 This entry was posted in Commentary, Processing and tagged B&W, building, camera, church, D700, magnolia, Methodist, Mississippi, Nikon, Paint Shop Pro, photography, Topaz, tree, Tupelo, Zen. Bookmark the permalink. great photo…nice to see that you are getting around…feeling comfortable in your new home place. love this big old tree!